No matter how careful you are, it’s still possible for your furry friends to escape your sight and get lost. As a precaution for any such incident, Invisible Fence of Newtown in Connecticut suggests using pet identification microchips. Since 1997, these invisible fence and pet containment system providers have dedicated themselves to ensure your pets’ safety. Thanks to their expertise in humane invisible fences, they understand how pet identification microchips can help heartbroken pet owners recover their lost four-legged companions. Higher Chance Of Recovery: According to The Human Society, without these cutting-edge identification mechanisms, the recovery rates for dogs and cats are 15% and 2%, respectively. Studies have shown that using pet identification microchips can increase your chances of finding a lost pet; however, the system will only work if your pet identification is registered with certified agencies, which is why you should get it done without delay. 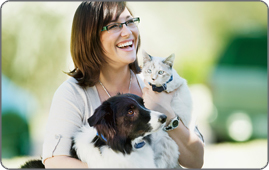 Unique Identity: Being encrypted with an identification number exclusive to your pet, microchipping is a more reliable method of identifying your pet than traditional collars. Since most modern vet clinics and animal shelters are equipped with microchip readers, they can determine your pet’s identity and report it to the agency your pet is registered with. The experts at Invisible Fence of Newtown emphasize completing all the necessary paperwork involved in chip installation to ensure your registration process is duly taken care of. Permanent Placement: While traditional pet collars have been around for a while, it’s possible for your furry friends to lose them when they’re agitated. What makes pet identification microchips a more dependable option is that they are inserted subcutaneously, making it impossible for your pets to interfere with them. The chip is a rice-sized transponder that is administered like a vaccination. All these reasons make it easy to understand why Invisible Fence of Newtown recommends identification microchips for your pets. To enhance your pets’ security even further, take advantage of their state-of-the-art invisible fences and pet containment systems. See what their pet care and humane invisible fence specialists can do for you by calling (888) 429-2421 or visiting their website.